DKFD Quality Manual - Deltech Kiln and Furnace Design, LLC. DKFD Kiln and Furnace Design, LLC was founded in 2016 to supply electric laboratory furnaces and related supplies and equipment to the nuclear science, engineering, and technology communities. The decision to form DKFD was made after Deltech, Inc. was approached to act as a subcontractor for the supply of furnaces to a nuclear facility. Designs, processes, and products must meet rigorous nuclear quality assurance requirements, and DKFD is positioned to design and subcontract the most complex custom furnace systems, providing quality assurance oversight and documentation at every step in the design, build, test, delivery, commissioning, and maintenance processes. The joint owner/manager team of J.J. Stevenson and Mary Stevenson are also principals and owners of Deltech, Inc (www.deltechfurnaces.com). Deltech, Inc. has designed and built custom furnaces for materials science researchers, ceramic engineers, and industrial ceramics manufacturers around the world. Customers include NASA, JPL, LLNL, INEL, Sandia labs, LANL, Brookhaven National Labs, ORNL, Savannah River National Laboratories, and NETL, Albany. Projects have included special designs for waste containment, for use in robotically controlled “hot” rooms, and for operation through gloveboxes. 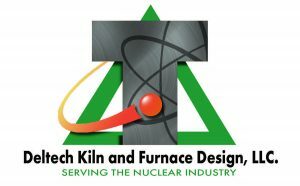 Deltech Kiln and Furnace Design, LLC pursues contract opportunities for the supply of furnaces and related systems to the nuclear research and industrial communities. DKFD is contracted to both design the furnace systems and to supply the equipment. The company in turn subcontracts to Deltech, Inc. (aka Deltech Furnaces) to build and test the equipment following DKFD’s and customer requirements for deliverables. Design and supply of electric laboratory and production scale furnaces and related control systems, and the provision of design services. ISO 9001:2015 7.1.5.2 Measurement traceability is not applicable. DKFD outsources manufacturing to Deltech, Inc., and has no measurement or test equipment requiring calibration. Any measurements deemed necessary by DKFD for activities performed use equipment provided by the external provider, Deltech, Inc.
Management is committed to maintaining and improving the QMS to continually satisfy customers by providing them with products and services that meet our specifications and their requirements and expectations. Management ensures that customer requirements are met with the intention of enhancing customer satisfaction. This commitment is demonstrated by the development and implementation of the QMS, by formulating the quality policy, and by establishing measurable objectives against which QMS performance is evaluated and acted upon to improve internal processes and the resulting products and services. Management ensures that employees understand the importance of meeting requirements, particularly those of our customers. Management also ensures that employees are aware of their contribution to the effectiveness of the QMS, the benefits of improved performance, and the implications of not conforming with the QMS requirements. Management also demonstrates a commitment to quality by conducting periodic management reviews of the QMS and its processes. Based on data driven information regarding performance and feedback from customers, and in consideration of future customer needs, Management allocates resources and outsources as necessary to ensure conformity of product and service, to improve the QMS, its processes, and resulting products and services, in order to promote customer satisfaction. DKFD’s QMS, like the documentation describing it, is structured around the processes affecting the quality of products and services offered. The QMS has been developed and implemented to promote quality and improvement, and is managed to meet the requirements of ISO 9001, customer requirements, and all applicable regulatory and statutory requirements. Support processes are those necessary for the successful operation and control of the primary processes and the QMS as a whole. These operate in parallel with primary process, and thus are not sequential: Documented Information, Training and Competence, Internal Audits, Nonconformity and Corrective Action, and Leadership and Management. Overviews of all QMS processes appear in section 5 of this manual. Outsourced quality management system support to Deltech, Inc. personnel is controlled through the Purchasing and Training and Competence procedure and verified in accordance with the Training and Competency procedure. Outsourced internal audits when used are controlled in accordance with the Internal Audits and Purchasing procedures and the results are verified in accordance with the Internal Audis procedure. DKFD outsources receiving, production, and shipping to Deltech, Inc. to fulfill accepted orders for furnaces, kilns, and spare parts, etc. This outsourcing is controlled through the Purchasing procedure, the results of which are verified in through direct involvement and oversight as the processes are being performed. Included in this monitoring, DKFD management ensures the measurement equipment used to test and inspect the product is calibrated and suitable for use. Management had determined the extent necessary maintain documented information to support the operation of DKFD’s processes and to retain documented information to have confidence that the processes are being carried outs as planned. Management ensures that roles, responsibilities, and authorities are defined and communicated to all employees. Management is ultimately responsible for the quality of DKFD’s processes, products, and services. The President and Deltech, Inc.’s Mechanical Engineer share the responsibilities of the Management Representative. As such, they are responsible for ensuring that the QMS conforms to the requirements of ISO 9001, ensuring that the processes are delivering their intended outputs, for reporting/reviewing performance information and improvement opportunities during management review, for promoting awareness of customer focus throughout the company, and for ensuring the integrity of the QMS is maintained when changes to the QMS are planned and implemented. Planning at the process level focuses on order fulfillment to ensure designed furnaces and kilns are supplied to customers while ensuring conformity of the product to applicable requirements of internal specifications, customer requirements, statutory and regulatory requirements, and acceptance criteria. Planning at the process level for Design Services focuses on providing required consulting services for furnace or kiln designs and providing the associated deliverables. This planning is to establish processes and documentation specific to the product or service, and to identify outsourced resource requirements. This level of planning results in accepted orders supported by design outputs, which identify required verifications to ensure conformity of the product, records demonstrating conformity, and methods for reacting when planned arrangements are not achieved, or outputs supported by documented reports or other deliverables demonstrating service conformity. a communications plan that includes internal and external communications that are relevant to the QMS. Risked-based thinking is applied to the QMS through the consideration of the internal and external issues and the requirements of relevant interested parties. The Risk Management Report identifies typical risks requiring mitigation to give assurance that the QMS can achieve its intended results, to prevent or reduce undesired effects, and achieve improvement. Risk-based thinking is also applied to opportunities and the planning to implement them if deemed of value to DKFD. See the Leadership and Management procedure, and primary process procedures for on-going risk management. Resource requirements comprise human resources (including personnel and training needs), infrastructure resources (including the building, workspaces, equipment, operating supplies, documentation, and supporting services and utilities), and work environment resources (including safety, ergonomic and human/physical aspects of work being performed). At the process level, attention is focused on ensuring conformity of the product and services to requirements, and to assure the effectiveness and efficiency of primary processes. DKFD ensures Deltech, Inc. uses suitable verification and/or measurements to demonstrate that product conformity has been achieved before releasing it to subsequent processing or to the customer. Evidence of conformity with acceptance criteria is retained and these records indicate the person(s) authorizing release. This verification or measurement is not only an indication of product conformity, but also an indication of the effectiveness of the process to produce planned results. Controls relating to nonconforming outputs appear in procedures where nonconforming output is encountered. Suitable monitoring and/or measurement is also applied to each process itself, where applicable. At a minimum, each QMS process is monitored by internal audits, corrective action, and management review meetings. Management determines further monitoring and measurement that is suitable and applicable for process effectiveness and/or efficiency. Monitoring or measurement indicators will be identified in the Metrics worksheet and management review meeting minutes and will be reported, evaluated, analyzed, and acted upon accordingly. Through use of the quality policy, process and system level quality objectives and performance information, audit results, external provider performance analysis, corrective action, and management review, DKFD will continually improve QMS effectiveness and efficiency. See the Leadership and Management procedure. Generally, the objective of the Sales process is to pursue business opportunities and provide products or design services that will satisfy customers. Inputs include DKFD’s furnace designs that may be customized to meet customer requirements or design services that provide consulting for customers’ designs. Customer requirements are reviewed to ensure they are clear and complete, and that DKFD has the ability to meet them prior to their acceptance. Applicable statutory and regulatory requirements are also reviewed to ensure compliance can be achieved. Based on accepted orders and current capacity, the process triggers the initiation of Design process activities or Design Services activities. Another output from Sales is purchasing information relating to infrastructure/resources needed to meet orders’ requirements. Generally, the objective of the Purchasing process is to procure outsourced services and/or materials needed to build quality products. More specifically, the objective of the Purchasing process is to ensure that purchasing information describes needed products and services in requisite detail, approved orders are submitted to reliable external providers, and that purchased product is verified to conform to requirements (including customer and/or any regulatory requirements). Inputs to the Purchasing process include purchasing needs arising in connection with customers’ Purchase Orders, as well as those arising from any QMS process, including management review, where resource needs are identified at both the process and system level. See the Purchasing procedure. The Purchasing process transforms identified purchasing needs into approved Purchase Orders, Manufacturing Service Agreements, or other documented communications which appropriately describe the needed products or services. This information also includes requirements for approval or acceptance of the product, as well as any required verification on the suppliers’ premises, or any requirements for the suppliers’ QMS, personnel, procedures, processes or equipment (which are not common). Approved purchasing documents are submitted to reliable suppliers. Received items are verified against the purchasing documentation. Maintain a quality management system that is registered to or conforms to ISO 9001:2015. Accurately verify materials, products, and services purchased by DKFD and received at Deltech, Inc. Report any discrepancies in quantities, or items received to DKFD management. Report any nonconforming product to DKFD management for disposition. Retain records of material test reports, certificates of conformity, etc., received from the external providers. Manufacture the products identified per the New Furnace Specification Sheet, drawings, wiring diagrams, and other specifications provided. Report any nonconforming product to DKFD management for disposition. Tests and measurements used to verify conformity to requirements must be calibrated and traceable to a national (NIST) or international standard. Prepare products for shipment per DKFD specifications once authorization to ship by DKFD management has occurred. Outsourced special processes or the purchase of products manufactured with special processing (those with outputs that cannot be fully verified internally) are subcontracted to approved suppliers. Requirements for suppliers to provide process validation or provide certifications of conformance are contained within the Purchasing procedure. Product resulting from outsourced production or processing is received and verified by the receiving activities performed by Deltech, Inc. before being released for use. Verification includes confirmation that supplied certificates demonstrate conformity to specified purchasing requirements. Suppliers providing outsourced special process services are verified for continued conformance to ISO 9001 7.5.1 f) Validation of processes during the management review. See the Purchasing and Leadership and Management procedures. Generally, the objective of the Design Services process is to provide consulting services for customers’ kiln or furnace designs, or in some cases provide trouble-shooting assistance. More specifically, the objective of the Design Services process is to perform these services in a controlled manner to ensure that the resulting service is effective in meeting requirements. Inputs to the Design Services process include customers’ designs. Outputs include delivered reports or other types of documented information that meets all customer requirements and include regulatory requirement considerations. The Design Services procedure describes methods for identifying customer-provided documented information and the resulting documented deliverables. The Design Services procedure also addresses the treatment and use of customer and external provider property, as well as preservation methods used during handling their proprietary information. Nonconforming service is properly identified, documented on the Nonconforming Product/Service Log worksheet in the Quality Log evaluated and dispositioned. All nonconforming service is corrected (a.k.a., reworked). (Any corrected service is re-verified against the criteria against which it originally failed.) Records of nonconforming service and its disposition are retained. Due to the nature of the consulting services provided, the outputs of the Design Services process are not considered processes where the resulting outputs cannot be verified by subsequent monitoring or measurement. The outputs are reviewed for accuracy against the intended results which does not include the actual build of the furnace or kiln. Training supports all QMS processes (both primary and support). As a support process, the objective of the Training and Competence process is to ensure that competent personnel perform the tasks required by the QMS processes. The Training and Competence process ensures that competency requirements are identified and that personnel are evaluated and selected based upon the appropriate education, skills, experience, and training required for each position affecting the performance and effectiveness of the QMS. Internal Audits verify that working practice is conducted in accordance with the quality policy, procedures, and provisions in this manual, ensuring that issues regarding compliance are resolved appropriately. All QMS processes are audited internally by either internal resources or contract auditors. Internal Audits are scheduled according to the importance of the process being audited, changes affecting DKFD, and the results of previous audits. Audits are conducted by trained, impartial Auditors, according to the schedule, instructions, scope, criteria, and any specific methods appearing on Internal Audit Reports. The procedure describes how performance data from various sources is analyzed and acted upon, including information relating to customer satisfaction, quality (i.e. conformance to requirements), to process, product, or service performance trends suggesting need for improvement action, and supplier performance. These measurements are analyzed and acted upon to improve performance. The procedure also describes periodic consideration of applying further statistical techniques to control process variability, to control product characteristics, or to further analyze performance data. See the Leadership and Management procedure. Inputs to management review meetings include audit results, customer feedback, information regarding corrective actions and actions decided during previous Management reviews, supplier performance information, internal performance information regarding product and service conformity and process monitoring and measurement, any identified improvement opportunities, and any identified internal or external changes that could impact the QMS. See the Management Review Meeting Minutes form. 11/21/2017 Revised section 2.2 to correct claim that ISO 9001:2015 section 7.1.5.2 is not applicable and provided justification. Revised section 5.1.3.5 by removing “calibration” from first sentence.